Win a Wedding Story Goody Bag with ASTRA Worth £500! Celebrating the precious moments that life gives us, ASTRA jewellery embraces every memory and makes sure it lasts a lifetime. Choose one of ASTRA’s perfectly personal designs to represent the different chapters of your love story and relive every sweet moment as if it were happening for the first time. With its new chains now available in three lengths, you can layer up to your heart’s content and add to your collection as you experience what life has to offer. Is there any moment more special than when your soul mate proposes? Or for you was it the first time you saw them as you walked down the aisle? Or perhaps it was looking back on the love you have shared on your first wedding anniversary? Whatever you feel, we want to be right there with you. So, whether you’re pairing the Double Heart Pendant, showing how your heart lives in theirs, with the Tree of Love Pendant, and how your affection continually grows, or choosing individual designs to suit your tale, we are here for you every step of the way. Because what is life without a few stories? 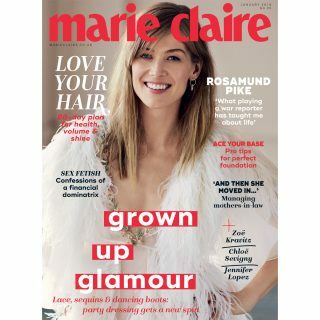 ASTRA has teamed up with Marie Claire to offer one lucky reader the chance to win a wedding story goody bag including a Heart Pendant, a pair of Heart Earrings, a Tree of Love Pendant, a Double Heart Pendant and a pair of Double Heart Earrings, worth £500!